Sunday, January 5, 1913: Went to Sunday School this morning. Would like to go every Sunday of this year. Was over to see Carrie this afternoon. Went along with her to church this evening. Carrie Stout was a friend of Grandma’s who lived on a nearby farm. What did the two teens talk about? . . . do? When I was young my friends and I enjoyed fixing each other’s hair. Maybe Grandma and Carrie also enjoyed fixing each other’s hair. 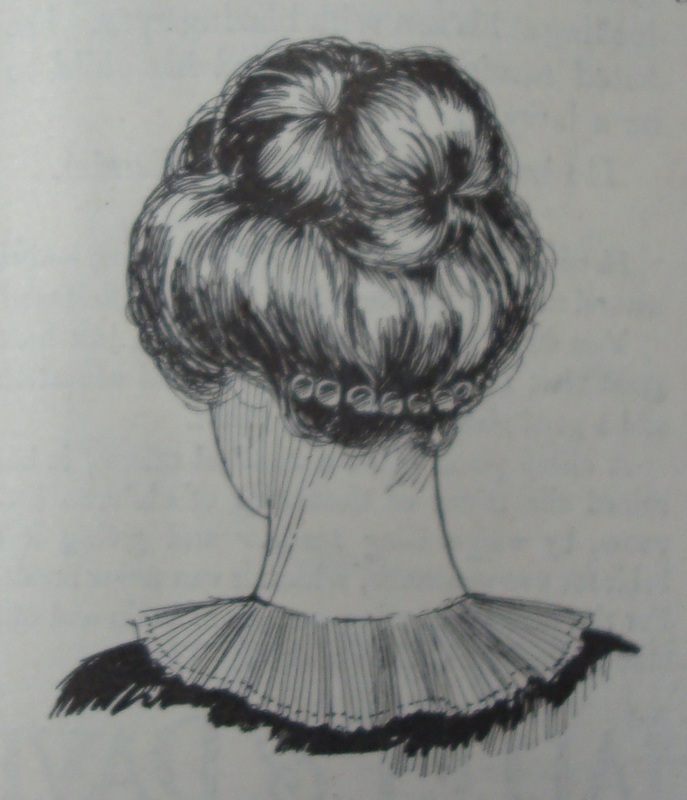 There’s a fun YouTube video that shows how to do an early 1900s updo. Posted on January 5, 2013 January 4, 2013 by SherylPosted in FashionTagged 100 years ago, 1913, diary, family history, genealogy. 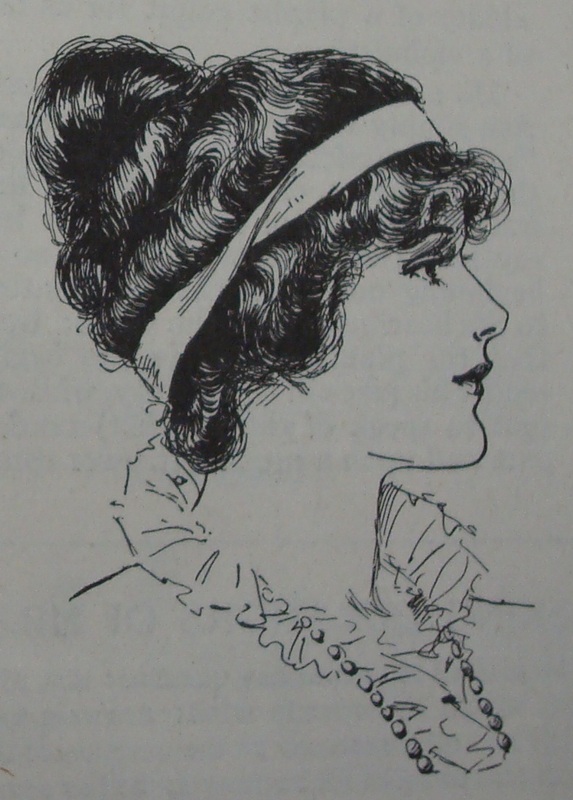 Charles Dana Gibson is the famous “cartoonist” that the gal in the video was referring to. His illustrations are well known because he drew women being active and involved in sporty pursuits like cycling. It was during the period when women’s clothing was becoming more freeing although they were still very corseted. 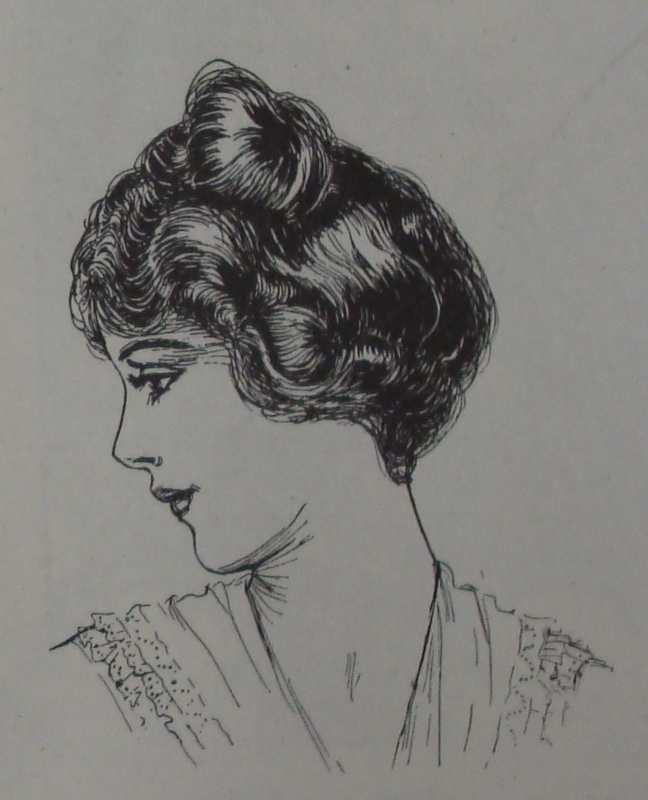 The women had a certain silhouette in his illustrations, hence the term Gibson girl. Thanks for the wonderful info. 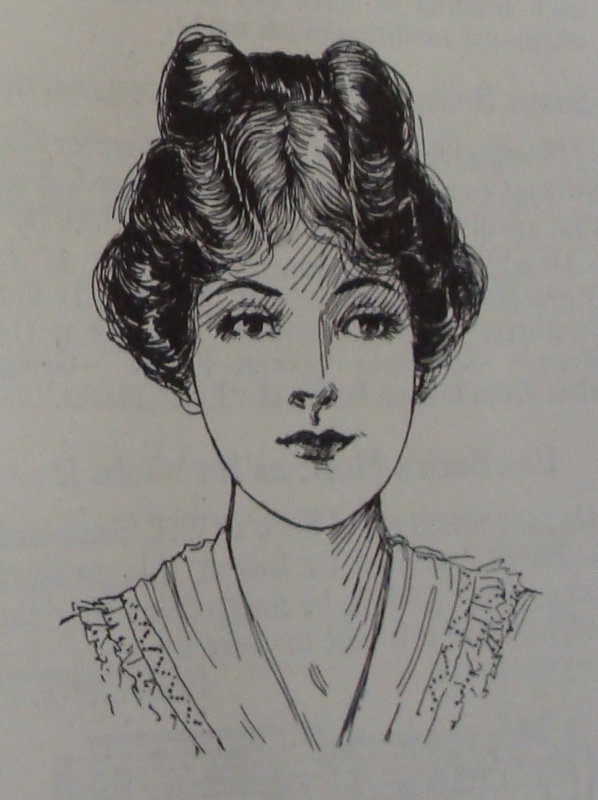 I’d never know the history behind the term Gibson girl. My first career was in costume design and theatre. All those History of Fashion & Clothing classes I had to take come in a little handy when doing genealogy. It does make it a little easier to date photographs. 🙂 I also have a biography of Gibson on my bookshelf. He started drawing professionally in 1885 right out art school and eventually became an artist for Life magazine. He worked through the 1930s. Wasn’t it fun doing hair with friends? I kind of miss that. It always feels good when someone else brushes your hair. I used to babysit when I was a teen and that little girl loved brushing hair…good deal for me. Now I have to pay a hairdresser for that treat, LOL. My long-time hairdresser recently quit–I’m trying to get used to a new one less than half my age. . . sigh. . .
You certainly brought back memories with this one. My sisters and I loved fixing each others’ hair and my mom loved to lie on the bed while we brushed her hair. Put her to sleep every time…then we’d sneak outside to play while she slept! Don’t you love the hair styles? It reminds me of pictures of my grandmother with a similar style. Lovely post. They’re great. I had a couple great-aunts on the other side of my family who wore similar styles. 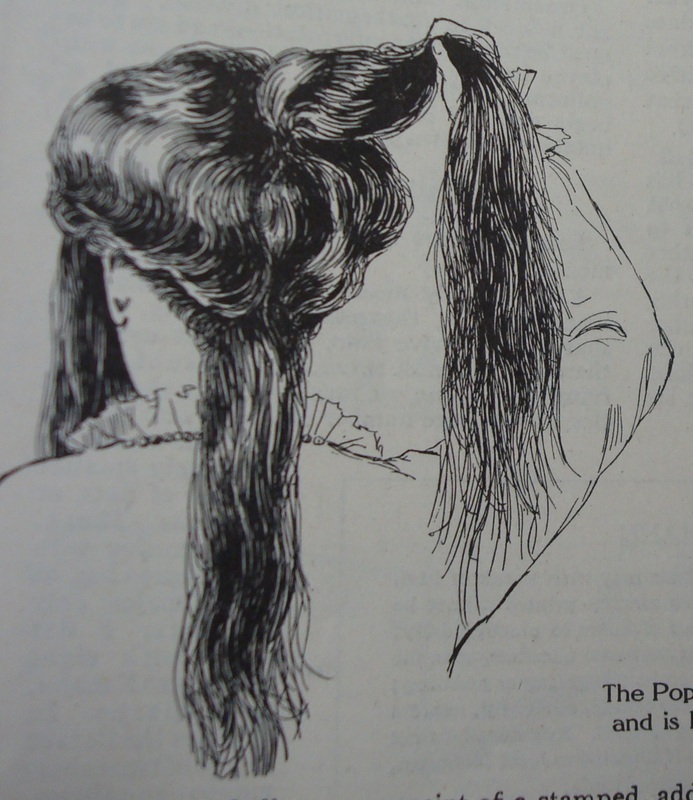 I always was amazed how they could put their hair up with no effort and it looked perfect–while I never could get my hair to stay in place when I tried to put it in a bun. Fun! Those photos you posted are great inspiration for young girls playing with “new” hair styles. It’s fun how sometimes “old” becomes “new”. Love those hairstyles and the video is fabulous!!! … always wondered how they “did” that hairstyle. Might have a go 😀 Thanks Sheryl. Let me know how it turns out, it you give it a go. 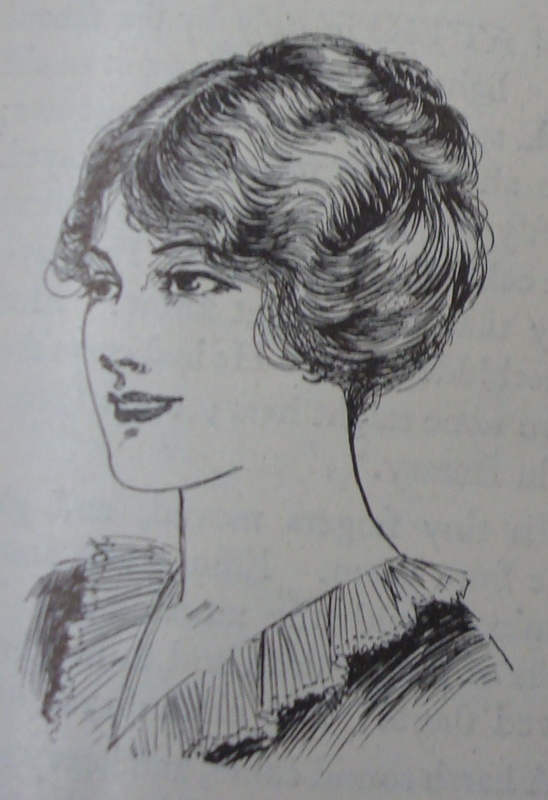 just found your.page we are doin a festival 1913 style,great lookinpage ,gave us some ideas i am tryin to find a blouse ,but have had no luck.